This week is spring break, and I am at my computer: studying, writing, grading, lesson planning, and writing summer courses for both middle school and higher education. The benefit of technology means I have so much information at my fingertips. 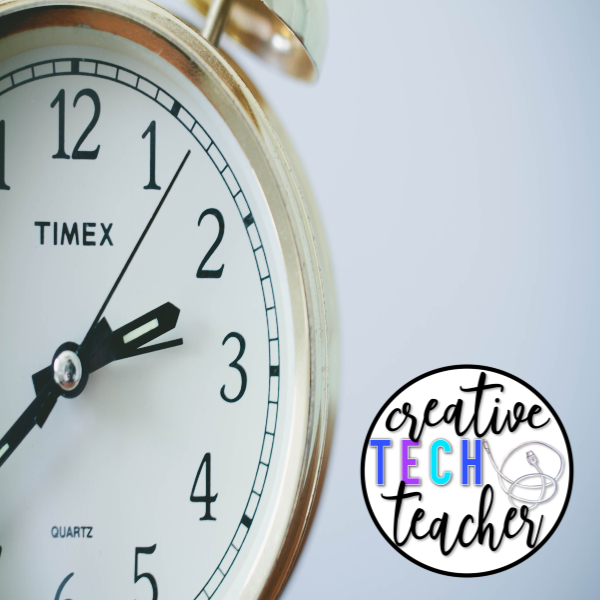 From a collaborative community of educators online to finding new resources for students and teachers I work with, I am excited to live in an age where there are so many innovative things in the way of technology. However, living in an online world means I am constantly connected. My phone bings at 8:30 at night when students email me with questions about projects. Parents send emails when I am ill or at a funeral. I used to answer without fail, no matter the day or the hour. When I thought about it, most businesses and employees have office hours. Teachers take papers home to grade, lessons home to plan, but they also have families and friends they want to spend time with. 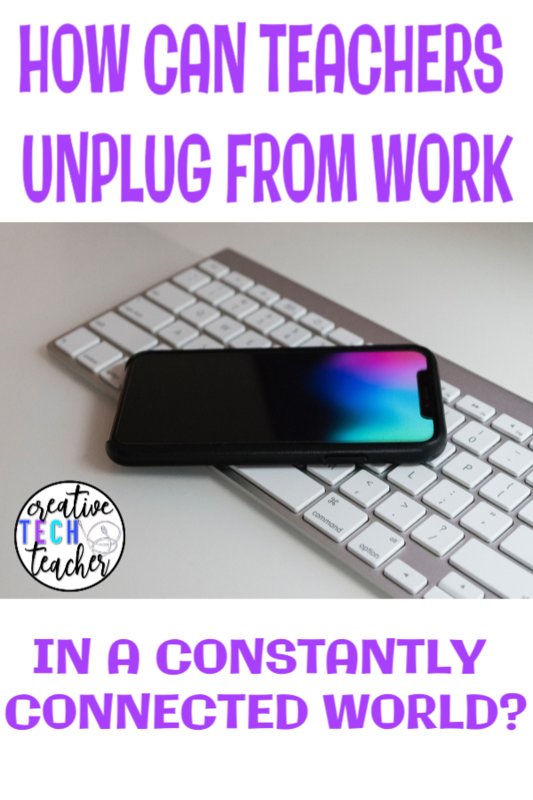 So, how can teachers unplug from work in a constantly connected world? Before my students arrive, I log in, check my email, and get set up for the day. Thanks to my co-teacher (shout out), my early morning routine is usually pretty subdued. However, parent and student emails get interrupted by meetings, copy machine malfunctions, and tech issues. It would be possible to take another eight hours a day just to get all the administrative tasks done. Setting office hours can take care of that. Let students and parents know that emails will be answered within 24 hours. Any time after 5 p.m., for example, is reserved for family. They shouldn’t expect an answer. There may be an occassion where you need to break your own rule, but try to turn off the email notifications at night. Whether you are on spring or winter break, at a conference, home sick, or enjoying your evenings, keep offline by adding an away/vacation message to your email. Let students and parents know that you will return their emails during the next school day. If you are gone for an extended period of time, consult with a fellow staff member (or your substitute) to refer parent and student emails to the designated member for immediate needs. Often, the questions that come from students (or their parents) can be answered by other students. Create a safe online community where students can help each other with homework or study questions, share book recommendations, and talk about school events and extra-curriculars. Creating a Flipgrid for your class or team to ask questions via video or allowing your students to make their own posts on Google Classroom. Delete your work email off your smart phone. I know. It’s hard. Being constantly connected may make you feel productive, but hearing that ding during dinner time with your family can add stress to an already stressful job. Be present while you’re at work and even when you are on your laptop planning after school, but disconnect on your phone. You won’t regret it. 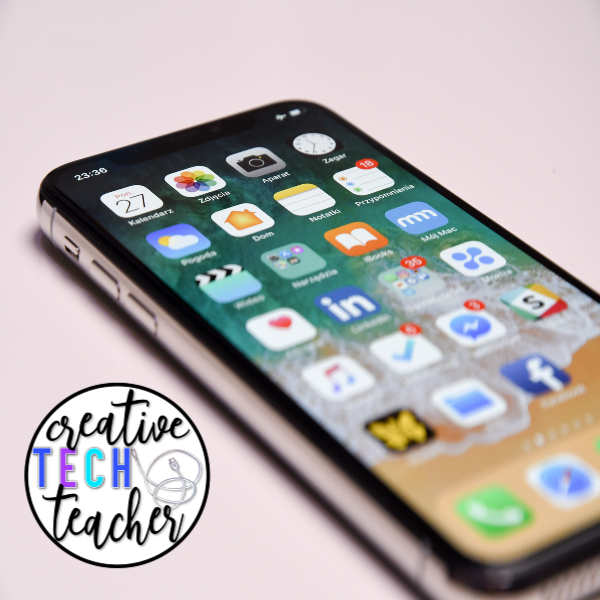 One of the benefits of being constantly connected is that your students and parents can have access to assignments and resources online. Post all your class materials on Google Classroom or your class website. Many school districts have homework pages for teams. My daughter’s elementary school uses SeeSaw, so I always know what is going on in the classroom, building, and district. The benefit of SeeSaw is that students can post their own work and share their own reminders and questions. Make your online classroom part of your daily routine, and it will save you a lot of “after hours” questions. My students know that I am available before and after school most days. Even though online connections are part of the current education environment, it’s important for teachers and students to build in person relationships. If you have teachers that teach the same grade level or content area, consider rotating dates to help students with work before or after school. Team study sessions will help your students feel comfortable with content and allow you time to work with larger groups during your before and after school hours. When you only contact parents about all the things that go wrong in class, they tend to email you and expect quick replies when their child is struggling. Take a few minutes (literally, just three or four minutes) each day and email a parent about something specific their kid is doing well in your class. It doesn’t have to be academic. Maybe you caught them being kind or you saw their performance in the school talent show. Those little moments help parents realize how much you love and care about their children. That goes a long way to building respect and seeing you as a person with your own family and life outside the classroom. I love technology. It has brought so much to my classroom that I never would have imagined when I first came into the field 14 years ago. However, there are times that I need to step away from the after hours emails and constant notifications and just be a mom, wife, and friend. Using these tips, can help teachers unplug in a constantly connected world. Connect with our online community on Facebook!